Every great symphony starts with the perfect composition. Tie your interior masterpiece together with a range that combines fashion, comfort, ease of maintenance and affordability. Van Dyck Floors is proud to introduce the Mozart Collection, a new 100% PFX Stainshield BCF Polypropylene tufted loop pile tile range with Enduroback KR4 (modified recycled bitumen) backing. Mozart is available in six contemporary designs and in three colourways. These new carpet tiles provide an upmarket, trendy look and feel, which will remain classy and contemporary for many years to come. Van Dyck Floors pays a great deal of attention to the impact its processes and products have on the environment. For this reason, the Mozart Collection is manufactured at our ISO 9001 and 14001 accredited factory in Durban. In terms of technical specifications, all six design ranges are most suitable for various medium commercial environments. The bitumen used in these carpet tile ranges consists of over 40% recycled material and as a result of their lasting durability, can be re-used for the secondary market at the end of their eventual lifespan. Furthermore, the bitumen backing contains no PVC’s and is very low on VOC. As a member of the Green Building Council SA, Van Dyck always ensures that the products they provide meet the requirements for Green Star Rating. 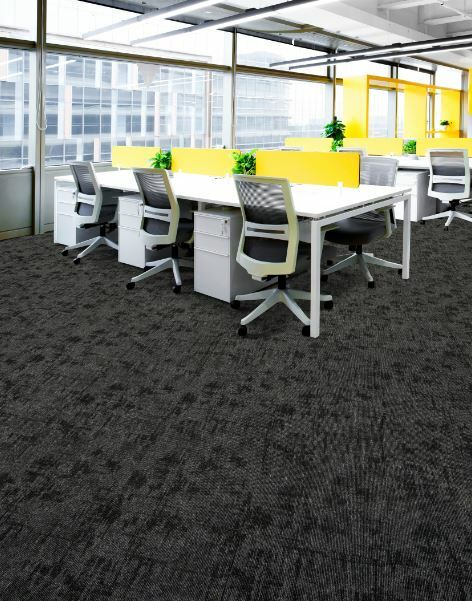 Carpet tiles are enjoying increasing market share because they offer great versatility and practicality in almost any contract application. They are also very easy to install as they are compact and manageable, and prevent the hassle of having to remove an entire floor when only a small section of a carpet has worn out or is soiled, making them easy and inexpensive to replace. There is also a vast range of colours and varieties available that make it possible to play around with more than just one colour and design on the floor. The Mozart Collection also can be laid in various directions (monolithic, tessellated, ashlar or brick-bond) creating different patterned effects. 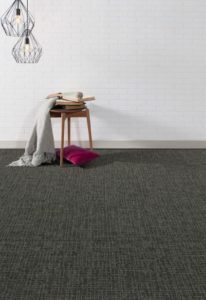 In addition, these six new design ranges complement other Van Dyck Floors carpet tile ranges already on offer, ensuring that there is a tile suitable for every customised style or taste. The Mozart Collection comes standard in 50 x 50cm size, but 60 x 60cm, 100 x 100cm, 25 x 100cm tiles, and other shapes and sizes can be manufactured on request. As a quality brand that has been tried, tested and trusted since 1948, we are certain that the Mozart Collection is the ideal choice for anyone looking for an innovative, practical and durable designer floor. For more information, contact Van Dyck Floors on +27 (31) 913 3800 or visit www.vandyckfloors.co.za.